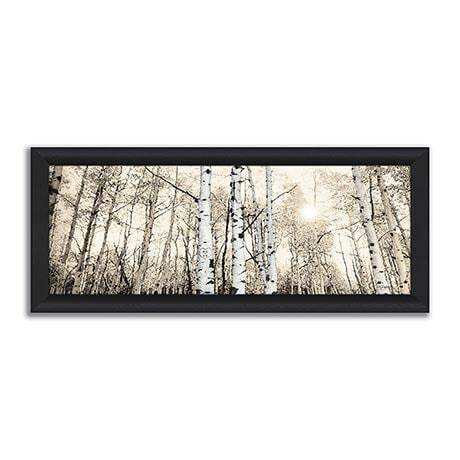 A grove of quaking aspen trees becomes a declaration of love. One tree is "carved" with two pairs of initials. 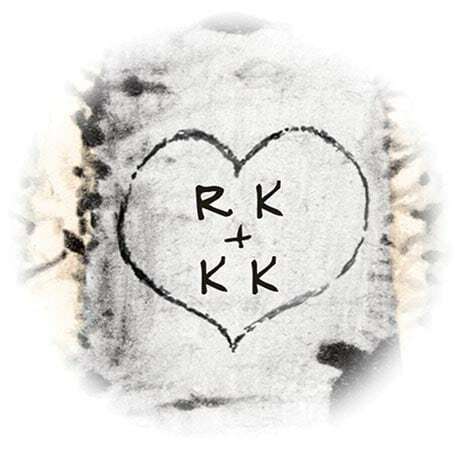 The perfect gift for an engagement, wedding, or anniversary, giclée print on canvas is reproduced from an original drawing by artist Ryan Kennedy and framed in wood with an espresso finish. Specify initials or names (up to 5 characters per line). 32½"w x 13½"h. Also available mounted on a ½" thick wood block with black painted edges (no frame needed). 26"w x 9½"h. For each, allow 2-3 weeks. No rush delivery or gift box. Item can only be shipped within the Continental US.